Accept My Fist of Love! Eighth Son? You’re Bloody Kidding, Mate. I’m Back in the Other World? Looking for something to translate? Along with Alisa, the figure of one more person entered her view. It was a girl with long, pale golden hair and light blue eyes. One of the people Lilia still did not wish to meet, the one who snatched the prince away from Lilia, what appeared was the figure of Tina Breyer. Her words halted there. Meeting Lilia’s eyes, her mouth opened and closed numerous times. While seeming like she had more to say, Tina appeared to be at a loss for finding the proper words. —Sakura. This, what should I do about this? —Nn… Let’s all get along together! —Hey that’s way too general. Completely disappointed and shaking her head inside, Lilia stared at the girl. Tina trembled in surprise under the gaze. Her eyes faltered slightly as if wanting to look away, but she stopped herself and firmly met Lilia eye to eye. And then, vigorously lowered her head. Suddenly receiving an apology, the eyes of the unsuspecting Lilia darted about in confusion. Alisa was also struck speechless with her mouth hanging half open. —Sakura, what do I do here!? —Do your best!~ would still be too harsh for you huh? Lilia, that girl has apologised, so do forgive her. And, you should apologise too. With that there should be no lingering conflicts. The bestest resolution! She didn’t really understand that last bit, but with panic quickly rising in Lilia her mind mostly stopped working and simply followed Sakura’s words. This time, Tina vigorously raised her head. Her expression painted in solid surprise. Upon seeing that expression, Lilia’s heart conversely began to calm down. Being asked this, Tina’s face contorted as if about to cry. Lilia’s mind halted for just a moment, then immediately began pondering the meaning behind those words. Questioning what that was about, Lilia tilted her head, so Tina continued. —No, no matter how you think about it Lilia was the bad one. And even looking at the root cause the blame lies with a certain idiot prince who went and got captivated by someone else while already engaged. —Sakura, I won’t allow you to badmouth His Highness. —Muu… Okay I get it… But Tina really didn’t do anything wrong here alright? She was just living her ordinary life when the prince started talking her up, drawing your attention, and was bullied for it. Seeing Lilia smiling in self derision, Tina seemed to interpret that as something and her cheeks stiffened as she once again lowered her head. While thinking it to be troublesome, Lilia still opened her mouth. At Lilia’s words, Tina raised her face. Lilia slowly approached her. Lilia seemed to find it somewhat adorable, seeing Tina with such an awfully frightened expression. Tina’s eyes opened wide, and Alisa noticeably gasped. Sakura as well, with an ‘ooh’ was for some reason surprised. Even though she was the one who said to do things like this. Tina looked up at Lilia with upturned eyes. Lilia tried to smile with all her might as she nodded. —Dayum this girl is seriously too cute! I wish I had haunted her instead! —Lilia? It was a joke? So hey, please don’t start sulking on me? —Oh just be silent, I wasn’t sulking. Pushing away her inner displeasure, Lilia formally held out her hand towards Tina. Tina was looking at the outstretched hand blankly, but soon realising Lilia’s intention, firmly grasped it with both hands. Seeing the delighted Tina smiling broadly, for some reason Lilia also started to feel happy. Perhaps this was the girl’s charm at work here. At the very least, this was something that Lilia herself was lacking in. —Lilia. You’re having fun here aren’t ya. —Isn’t it fun to play with her, this girl. Though saying so Sakura also had a hint of enjoyment in her voice. Since there were no instructions from Sakura, this should be fine for now. Lilia thought so, and satisfied with herself, she once again turned her attention back to Tina. Ih my Seven I’m second. Thanks for the chapter Jaon-chi. Looks like Lilianne is quite lonely huh..
Ohhhh thank you for the dosage. Hopefully it wil keep me going until next time. Best development thus far. Honestly, rather than being a bad person, Lilia just has really bad people skills. Thanks for the chapter, Jaon-senpai! I certainly hope so. Though things are complicated and all since Lilia still seems to love him. The Prince is going to be distrustful, get told off by Tina, then he will be jealous at Lilia staling his Tina isn’t he? I can see the end! The prince won’t get Tina and will be jealous of Lilia! Tina have a crush (or actually don’t, but may have) and isn’t the prince, and Lilia + Sakura will help her! Thank you for the chapter!! OMG YES FINALLY THE BLAME ON THE MAN! Lol, it’s usually the MC or the villaness who gets the “blame” for enticing and not seducing enough. BUT now, someone understands. Finicky men are to blame. Many thanks for the chapter. Every day, countless heroines and villainesses have their lives ruined by scumbag princes. Donate today. This series is… so awkward. There is too much… how do you put it… unrealistic Japanese-ness in it. I know, its a japanese writer, but still, its too much, to the point that it mostly seems extremely awkward and hard to read. Especially how forced it is. I know, Sakura is literally forcing her to become a “model japanese high school girl”, but it feels extremely forced and awkward, even knowing that Lilia is willingly following all of Sakura’s suggestions. And its working, which is even more weird, because it shouldn’t work all the time with everyone (obviously because not all of them are going to have the mind set of a polite modern japanese citizen), when, in fact, they are in a medieval european society, where, needless to say, the way they all feel and think about things is completely different? Am I expecting too much form this series? You are… so don’t read it then! Perhaps your expectations are somewhat different than what the author intended for this story? I certainly see your point, but it is obviously amateur work, and that stands out clearest to me as the translator. I think what I will say is that for now, there’s not much need for a lot of deep thinking, as it is barely starting out. I imagine this tale was written with an overarching plot in mind, so I hope you stick around long enough to see the parts the author really wanted to bring out. It may not be realism or believability, but what you find instead might be just as interesting. Thanks for reading! Personally, I like this series, it’s quite funny and I’m actually not sure it is one in which you really need to question what’s happening but well I’m the type to do it so anyway ! My theory is that even if it’s happening in a medieval world (so the people should behave and think as people from this period), the plot may be in fact, a Japanese girl entering in the story of one of her manga to haunt a character. This way, the fact that the people behave with Japanese-ness seems logic since this world is in reality based on a manga (it also works light novel). Btw, thanks for the chapter Jaon-san ! At least for Tina that’s natural tho. Quite true, that’s a good point. I was completely shocked by these developments. It really is the Prince’s fault. He should break up with Lillia before chasing after a new girl. Done like this make it seem like Lillia is a back up for if he fail to woo Tina. I’m starting to think that’s how all these situations come about in all the stories. yeah go LillIia NTR that stupid prince bystealing tina! When do you think the next chapter will be released? I’m really hoping that she steals Tina from the prince and creates a yuri harem with Alisa and Tina. My exact wish… Also no promises but I’ll try to be faster with the next one, as in a week or so, or maybe very soon depending on various things. Now, stay carefull, collect her points steadily! When the mood is right, kiss her! The situation were the new girlfriend aproaches the old one (that had bullied her really bad) to ask for forgiveness is almost surreal. Maybe that Tina girl is being haunted (and adviced) by another “angel”. The optimistic comments aside, I think Tina is just scared that she would be “punished” because of her “offense” to a duke’s daughter. I imagine her friends are telling her that her family will be harrassed by the Duke family unknown to the prince. And then there’s Lilia. Being shocked by the prince’s wrath and being the smart girl she is; she follows Sakura’s instructions to the letter. She swallows her pride and smoothly apologize. This is offhanded, but I feel that the way it all unfolds is really cute. This is also a realistic and quite amusing way of seeing it. InB4 this is a world where everyone has an “angel” but no one is aware of anyone else’s. This ended up unexpectedly good. Tina seems nice, Lilia pursuing the prince seems like a lost cause. I wonder who Lilia will end up with. She will end up with someone, right? Lilia will end Tina and/or Alisa. New applicants are still being accepted. Perhaps, or perhaps Lilia will become one of those strong independent noble woman who don’t need no man. God i just busted out laughing when sakura talked about haunting tina instead. Ah thank you for the chapters! Hey Jaon or Este, the link in this page to chapter 12 seems to be broken, does anyone mind fixing it? Also, “Dayum so cute”, Sakura pls. 5th Holy Sheeprabbit, Kilimanjaro Estelion Sharlulu Asheel Vinchance Celenalia di ef Falufiluu'Luufilaafee (The 35th) da ne! The incumbent 5th Holy Sheeprabbit and Grand Arbiter of translation ethics across the universe. 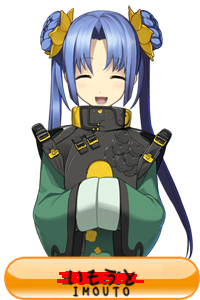 Enjoys eating sweet foods, translating simple Japanese stories, reading eroge, and rolling about in bed whilst emitting strange bird cries. Devout follower of Evil Gods Anri and Tilea. Translator at oniichanyamete! When not swimming with polar bears or sleeping in an igloo, likes to stare at incomprehensible moon runes believing them to be messages from the ancestors. Until the caribou meat runs out. Was promoted to Deputy? Arbiter by a wandering Sheeprabbit on a hunt one day and brought to a place named after some person called Chan, Onii. What is motivation? Busy, unmotivated, dying translator for Amaenbou and Oniichanyamete. Currently recruiting stragglers for Amaenbou. Completely addicted to novels, does strange dances during VR loading screens. I'm a wandering internet robot. A peculiar fairy that likes to ramble nerdy things. At times I translate things, at other times I program and art things. Also go by Ara. Hello. I am a deceased ancestor on OCY. Once upon a time, my flamering translation was being checked, but alas it would seem to be no longer the case. I still TL flamering on my own site, though. It was a dark and stormy night...the little slug, abandoned by all of it's friends, moved onwards. It undertook a hard and unwelcome journey. The ground was slippery cobblestone, all sunny-gleam and glass-sharp marble gluing the jagged edges together to resemble something beautiful. Walking upon the path would have hurt the slug, considering all the jagged pebbles knocked aside to and fro that it had to crawl over, if not for the water that fell from the sky and aided the slug's way to a place of suitable shells. And on the slug continued on this path, a little nervous but a lot determined, until two long shadows coalesced and stood in its way. "Slug! It's a slimy slug!" one crowed mockingly, laughing cruelly along with other shadows in a discordant symphony as they loomed over the slug, dark and threatening. "I'm not a slug!" it said in response, even as it flinched back. "I am a snail, like the rest of the snails. I just have no shell." The shadows did not seem to hear, and they surrounded the slug, holding sticks and tossing it around. "Stop!" the slug cried, but they did not stop. The rain spilled over the slug, until it didn't, and the slug lay helpless on the side of the streets, unmoving. There were many voices, screeching their victory as they walked into the distance, and the slug was bitterly reminded of the insults its siblings had told it. It did not resist as it was kicked harshly by a passing object and thrown into the air, landing on its soft underside so quickly it faded into unconsciousness, prone and helpless to any that wanted to eat it. It sadly thought that, perhaps, its siblings had been right. However, the slug did not die. It came to, after a long, long time, to see a large, patterned rock. "...Hello?" the slug whispered mutely, voice weak and barely audible, not expecting an answer. But surprisingly, the rock moved, revealing a wisened head that craned over to look at the slug. "Hello," it greeted calmly, "What are you? I have not seen any like you before." The slug took a long moment to comprehend its words, and even then, it felt floored. Someone who had not heard of slugs at all? "I...am a snail, who has no shell, seeking a place of suitable shells that will fit me, like the shells in the place of suitable shells near my home that fit my kin." "Is that so?" the other asked. "I cannot understand, for this shell of mine has been mine ever since my birth. I can, however, understand the need for a shell to watch your back and hide you away from the world, if that is why you wish for a shell." "It is," the slug replied. "It must be a joy to you, to have a shell crafted for you for your lifetime." "But I cannot choose another," the other answered, "While you can." It was a long, quiet moment of contemplation before the other spoke again. "Do you think this shell of mine is good?" The slug was startled, but it answered willingly enough. "Yes." "Do you think this shell of mine is strong?" "Yes," the slug answered, this time a lot more slowly, bemused. The other gave a tiny, weak smile. "Do you think this shell of mine is suitable?" The slug did not hesitate. "Yes," it said, and it could not have said anything more profound. "What are you?" the slug finally queried. "I am a turtle." And the turtle smiled wider, kindly. It may have been just a feeling. It may have been just a thought. But the turtle also said these very words: "You are a snail with a shell." And even though the turtle's shell was all lines and edges and angles, and the shells of the snail's brethren were all curls and swirls wrapping itself into rings of promise, the slug was a snail with a shell, and that was all that mattered. I feel pretty useless all the way down here.